It has been long time since FSWizard iOS app was updated. Now finally the wait is over! And with the new instant update functionality, that allows me to publish updates within hours for both the iOS and Android platforms, new features will be soon and many! By the way. The only difference between the Lite and the PRO version is limited number of materials. All other restrictions have been permanently removed! 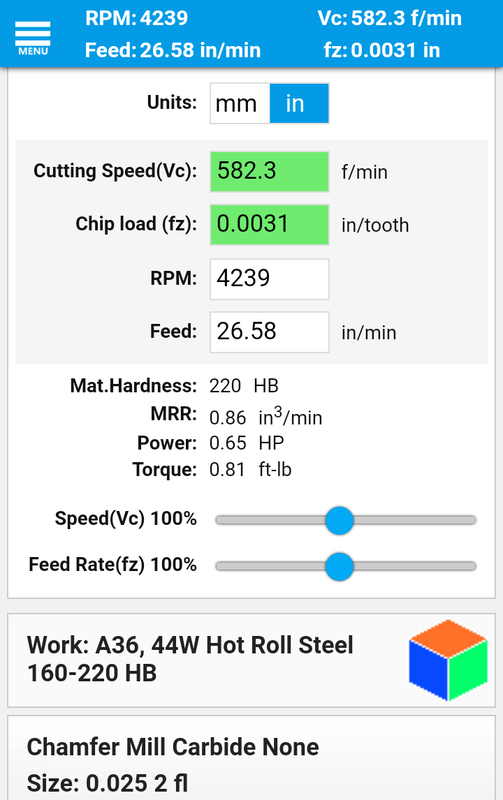 FSWizard Machinist Speed and Feed App Update! After more than a year in development and having its entire code base rewritten FSWizard Android app has finally been released to production! The main goal of the initial production release was to not drop the ball. So the number of new features is relatively small. The biggest visible improvement is the new design that conforms to the mobile UI standards. For HSMAdvisor customers all the available materials will be downloaded after the Login. This allows you to see the effect your changes make in the real time. The new version of the app also allows to push immediate updates and hot fixes. So expect a lot of new features delivered to you faster. As you might have guessed I did not re-design the whole app just to add a couple of new sliders and a new design. My plans is to fully integrate FSWizard with HSMAdvisor having them exchange tool libraries and cutting data. Ant the core design changes that i made will allow for this work to proceed forward. New FSWizard. Check it out if you have not already! PS. for now the update is only available for Lite Android version of the app. FSWizard PRO Android and all version for iOS are still sporting old version. But I expect to update them within a week as well. FSWizard: Online now has Service workers! It is a cool new technology that allows otherwise online applications to run completely offline. From now on FSWizard will be able to cache all of its files on your mobile or PC device. Also a reminder: you can "Install" FSWizard right from your browser by going to menu and hitting "Add to Home Screen"
Then FSWizard will be able to run in full-screen mode. Depending on your usage, Chrome may actually prompt you to do that automatically. More Materials in the latest FSWizard Online update! I hope you guys enjoyed your weekend. Mine was a productive one. There is a catch, however: In the free version, ONLY material groups are available. To get all the avialable materials you need to go to Settings, click on the "Customer Login" button and enter your FSWizard PRO credentials. New FSWizard Speeds and Feeds Calc will have not only modern improved design. But latest tools and materials. Special attention is being paid to have it produce EXACTLY the same results as our HSMAdvisor desktop app. It is not complete yet, but it is almost there - making it catch up to the latest HSMAdvisor code is a big job. Yes, you heard that right! You will be able to run exactly the same FSWizard Speed and Feed calc on your mobile phone, desktop and even Windows Mobile. Heck, it will even work on Mac! Best of all, it will be published as an update to our existing apps, so our existing customers will not have to buy an upgrade, unlike what some other "Machinist Calculator" has done in the past. 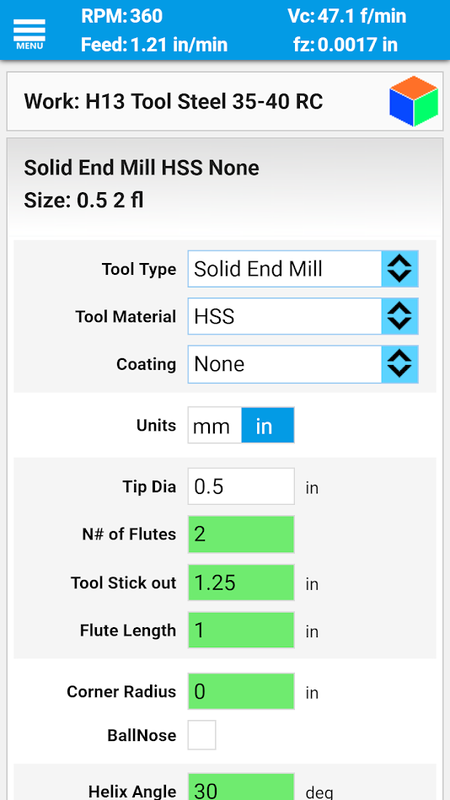 I have been working hard to improve not only HSMAdvisor lately, but FSWizard Mobile CNC Machinist App too! The latest update improves productivity, speed, fixes a lot of small glitches. 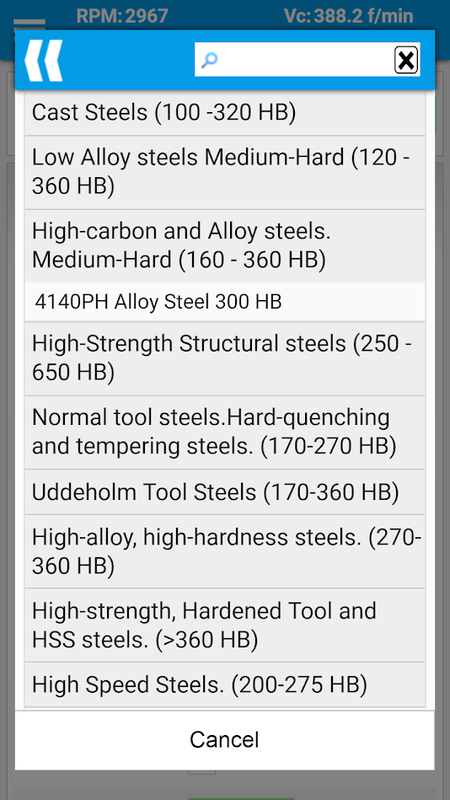 And it also adds a completely new GD&T reference tab to both the FSWizard Free and PRO apps. Update: FSWizard PRO and Free apps have just been approved by the iTunes and are available on the AppStore! I issued some hotfixes before but they did not help. So I would like to announce that with the latest update all the problems have been fixed. There were also minor updates in the UI, but nothing major. I have just finished uploading the latest update for FSWizard apps to both iOS and Android stores. Your iOS update should be available in about 3 to 5 days, while it is already available on Google Play. As always my thanks go to Apple for killing 90% of my day on trying to find and fix stupid xCode quirks. Thanks, apple guys! I wouldn't know what to do with all of my time if your stuff worked the way it was supposed to! I have just uploaded my first FSWizard CNC MAchinists Speed and Feed Calculator video tutorial. This is a quick walk through the basic functionality when using milling tools. Please excuse my tired voice and occasional stuttering. This was my 9th take- every time either my computer crashed or i was interrupted by my kids running around and causing mess. I am planning to release more videos. So please let me know what other topics i need to cover.